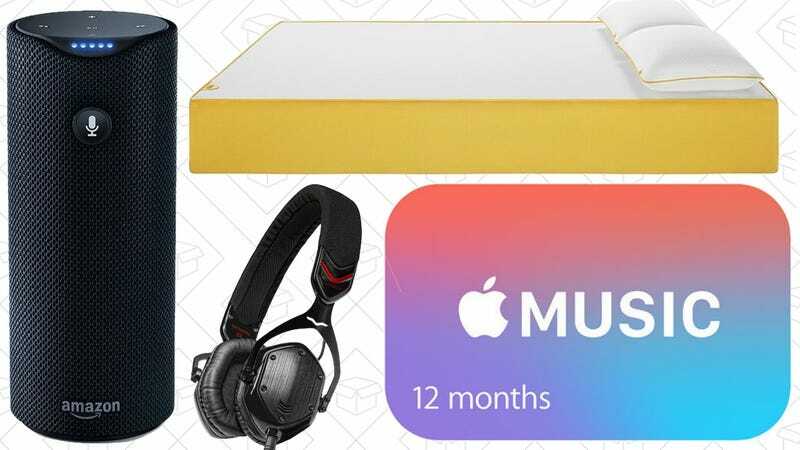 Apple music subscriptions, the Amazon Tap, and tons of Labor Day apparel sales lead off Sunday’s best deals. Bookmark Kinja Deals and follow us on Twitter to never miss a deal. Commerce Content is independent of Editorial and Advertising, and if you buy something through our posts, we may get a small share of the sale. Click here to learn more. If you subscribe to Apple Music anyway, and have no plans to stop, this $99 gift card will save you $20 over the course of a year. If Labor Day to you is about shopping the huge apparel and lifestyle sales, you’ve come to the right place. Sales from Uniqlo, Nordstrom Rack, Indochino, and more are happening right this very second. Head over to our Labor Day roundup to see all of the deals, and keep checking back throughout the long weekend. Want to see firsthand why people love Eneloop rechargeable batteries so much? This 4-pack of AAs includes a charger, and today’s $15 price tag on Amazon matches its all-time low. The Amazon Tap lacks the Echo’s always-on microphone, but $100 is the lowest entry price we’ve seen for any Alexa-enabled gadget. 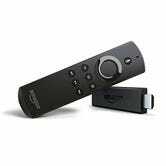 $5 isn’t a huge discount, but if you’re in the market for a solid streaming dongle, you could do a lot worse than the Fire TV Stick for $35 (or $45 with a voice remote). 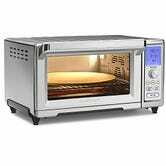 Cuisinart’s highly rated smart toaster ovens hardly ever go on sale, so if you’ve had your eye on them, I wouldn’t hesitate to pick up this convection model for $191, the first time it’s ever dropped below $200. V-Moda’s well-reviewed Crossfade M-80 headphones feature a unique design, customizable face plates, and a practically indestructible design, and Best Buy has marked them down to $80 today, matching an all-time low. Your yard’s going to be covered in leaves in a matter of weeks, so prepare yourself for battle with this Black & Decker sweeper and edger 40V combo kit, just $120 today in Amazon’s Gold Box. Eve is another one of those online mattress-in-a-box companies, except today, you can score significant savings by ordering through Amazon’s Gold Box. These mattresses come with a 30 day trial period, so there’s no real risk in trying one out. Prices range from $399 for a twin up to $759 for a California King. The oral thermometer probably didn’t need to be reinvented, but if you’re the kind of person who likes everything to be smartphone-connected, Kinsa’s smart thermometer works with both iOS and Android, and is down to $15 today. Kinsa markets this as a kids thermometer, mostly because it only takes 10 seconds to get a reading, and its smartphone app includes a little bubble popping minigame that kids can play while they wait, but it’s a neat little gizmo for sick people of any age. The app automatically tracks your temperature over time, and you can add your own metadata about symptoms and medication if you want a more complete record of your illness. Plus, if you own an iPhone, the temperature data is compatible with Apple’s HealthKit. 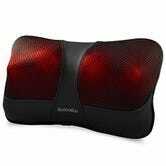 You deserve a little pampering every day after work, so treat yourself to this $25 heated shiatsu massage pillow. It even comes with a DC power adapter so you can use it in your car! 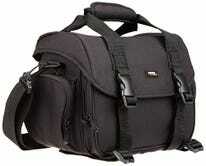 This discounted AmazonBasics bag can hold a DSLR body, three lenses and some accessories, all for the paltry sum of $21. It even has a dedicated tablet slot which will fit <gasp> a Kindle Fire. 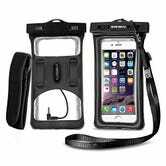 We see deals on smartphone dry bags almost every day, but not many of them float if you drop them in the water, and even fewer include an armband and headphone jack. That means that even once beach season is behind us, this Vansky model will be great for exercise. If you’ve ever spent more than 5 seconds sorting through your mismatched food containers to find the right lid, it’s time to throw them all out and upgrade to this Rubbermaid’s Easy Find Lid system. These containers come in six different sizes, and yet you only have to deal with three different lids, making it much easier to find the right one. For a limited time, eBay is offering up a $5 discount when you spend $50 on select gift cards. You can mix or match small denominations from hundreds of stores, including places you’ll probably shop at anyway like Best Buy, Google Play, iTunes, GameStop, and Lowe’s. Just add at least $50 to your cart, and you’ll see the discount automatically at checkout. Harambe didn’t die so you could look like the missing link. 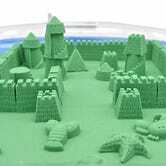 This $17 kinetic sand starter kit includes 2.2 pounds of 99% sand/1% beeswax mixture, an inflatable beach, and plenty of tools to build up you indoor sand sculptures. You won’t even need to put on sunscreen. This weekend only, eBay’s taking 20% off eligible $25+ home & outdoor purchases with promo code C20LABORDAY. You can see all of the eligible sellers here, but some options include air mattresses, vacuums, generators, and lawn tools, just for starters. Need some entertainment options for you long weekend? Amazon’s offering up nearly 200 HD movie rentals for just $1 right now. 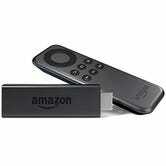 As with all Amazon video rentals, you’ll have 30 days to start watching, and then 48 hours to finish. There’s a lot to sort through here, so drop your suggestions (with links) into the comments. My pick: Warm Bodies, which had no right to be as good as it was. 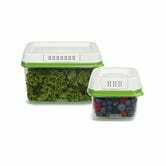 We shared the first deal on these Rubbermaid FreshWorks containers a few weeks ago, and on several occasions since, and you guys have bought thousands of them, to the point that Amazon has often killed the deal within hours of our posting it. So if you’ve missed out on Amazon’s previous deals, or loved yours so much that you want to buy more, the two-pack is back on sale for $17 today, down from $20. So, what’s the big deal? First, each FreshWorks product includes a “crisp tray” which elevates your produce off the bottom of the container, giving moisture a place to drip, and air enough room to flow. Second and most importantly, the lids feature special filters that regulate the flow of oxygen and CO2 into and out of the containers. 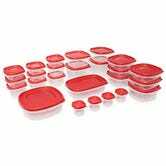 All told, Rubbermaid claims keeps food fresh up to 80% longer than store packaging. 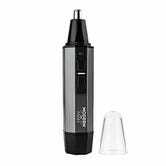 It may sounds too good to be true, but customer reviews are fantastic, and Amazon’s offering a 2-piece set for $17 today, down from their usual $20. If they save just a few batches of arugula or scoops of blueberries that you would have otherwise thrown out, they’ll have already paid for themselves. Don&apos;t Need Colors? Get Four Philips Hue White Bulbs For $40.